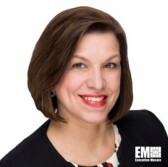 Diane Murray transitioned into the role of federal civilian sector leader at consulting services contractor Deloitte earlier this year as the next step in her respective 18-year information technology and professional consulting careers. The firm also cited Murray’s background in areas such as IT governance and program management, business intelligence and data management upon the announcement of her new position at Deloitte. ExecutiveBiz recently spoke to Murray for this in-depth discussion of her short-term and long-term goals for Deloitte’s federal civilian sector, the evolution of IT governance structures and processes at agencies and how the government could increase its portfolio of business intelligence. ExecutiveBiz: Describe your new role and responsibilities at Deloitte. Diane Murray: Our federal civilian sector includes all civilian-facing federal agencies such as the departments of Transportation and Commerce — in other words not those that would fall under defense, national security or health-related agencies. I see three main focus areas for my role. First and foremost, of course, is client service and empowering our account teams to be successful in the market. It is at the heart of who I am — I still serve clients in the Internal Revenue Service and the Census Bureau. Second, we must have the right talent pointed at the market and are going after the right opportunities. And third is a focus on bringing the power of Deloitte to our customers, delivering high-quality and impactful service, and bringing the capabilities from Deloitte. ExecutiveBiz: What new areas do you want to shift the civilian sector’s attention to? Diane Murray: We are heavily targeting issues that are top of mind with our clients and hot in the market such as cyber risk. This is something that is not going away anytime soon and the demand for better understanding and managing cyber risk is only increasing. Customer experience is another issue where we see a tremendous opportunity for clients to bridge IT and business in delivering a new experience to their customers. More internally focused, I’m also shifting my priorities on the talent front as we are seeing the millennial generation becoming a more and more prominent part of our workforce. The way they want to work both individually and collectively as a team, their desire to make an impact by tackling and creating solutions for government clients, and the talent they bring is a little bit different. I want to make sure that we are harnessing all of that energy and using their innovative thinking to create even greater impact with our federal government clients. ExecutiveBiz: Which experience from the firm’s programs at the IRS will apply the most to your new position? Diane Murray: The IRS is clearly at the heart of what civilian agencies provide to the government and to citizens. They touch every taxpayer and they have one of the widest-reaching impacts in the civilian sector. That experience helped me understand challenges that government agencies are facing and how they interact with their customers — taxpayers in the case of the IRS or citizens in the case of the Census Bureau. The work Deloitte has done to help the IRS provides me with great insight into the challenges facing our clients and the ways we can work together to create innovation solutions. For example, the IRS has faced budget cuts; we have helped them do more with less. And we helped them meet their legislative obligations as part of the Affordable Care Act. The IRS has a vast mission with many citizen interactions — filing taxes, getting tax returns, qualifying for health care credit, applying for housing credits and other services like that. Bringing this insight and experience to other civilian agencies and creating new solutions with our clients is something I am excited about. ExecutiveBiz: How do you see IT governance at agencies evolving and where do you see Deloitte helping with that? Diane Murray: IT governance has been in a constant state of evolution ever since the Clinger-Cohen Act was passed. It is becoming more and more customer-centric and business-focused. IT governance is actually joined at the hip with governance for the business. The goal is to integrate your business customers with your IT service delivery to make decisions that provide business agility – quicker access to agile and rapidly changing services. Agility and reduced time-to-market are big trends in IT governance. This “business and IT concept” is strongly reflected throughout the new Federal Information Technology Acquisition Reform Act. The agency CIO is raised to the true level of a ‘C-suite level’ executive and is to be the primary and final decision maker of the agency’s IT budget, resources, and acquisitions. Clearly, the CIO and the IT organization are partners in achieving the mission of the organization. Deloitte understands the business of IT, the role of IT governance and what CIOs can do to meet these new requirement laid out in FITARA. ExecutiveBiz: Where do you see potential for agencies to make progress on their goals in data management? Diane Murray: Agencies have tremendous data management challenges that fall into two buckets. First, the internal data management challenge involves being able to protect, safeguard and use their internal data. A key development is in the way end users access data via friendly easy-to-use visualization platforms that provide ready access to the data. Many data users are accustomed to big databases running queries or receiving reports from their IT departments. Now business users want real-time, hands-on access to the data; the new generation of visualization tools and business intelligence tools can enable that. The second area of data management is outside of the organization. There is a big trend in using open source ways to access publicly available data to get more business intelligence. Organizations have public sources of data and agencies share more of their data in select situations. So we have a tremendous opportunity to harness the multiple data sources in a lot of different ways using visualization and open source software. Just look at DataUSA, a data visualization site we recently launched with MIT Media Lab and Datawheel. It is the largest, most comprehensive website and visualization engine for shared U.S. government data to date. Anyone can easily use it — from a student to a policymaker. And what is really meaningful about DataUSA is that it provides not just quick and easy access to government data but gives the user a better understanding about what the data is telling us — the story behind the data with insights and trends that can inform decisions. ExecutiveBiz: What opportunities do agencies have in business intelligence? Diane Murray: It ties back to enabling end users to access the data in unstructured ways and meet their needs real-time. Using both internal and external data, data scientists focus on not how data is structured or how queries are written but on what the data means and how it can give meaningful insights and answers to questions. So many agencies now are data-rich and information poor. This new generation of “data science” brings business intelligence tools and ways of accessing data that will enable users to engage directly with data to solve the day-to-day challenges. ExecutiveBiz: What do you envision as your main area of focus in the civilian sector? Diane Murray: My biggest focus is going to be making sure that Deloitte stays at the forefront of bringing the best service and the most creative ideas to our clients. One of the most powerful trends in the market today is the connection between the public and the private sectors. Governments can’t solve problems without businesses and vice versa. There are tremendous opportunities to better connect the public and the private sectors and learn from each other. Deloitte is right at the nexus given our large, global footprint — we serve about 80 percent of the Fortune Global 500 and all of the 15 U.S. cabinet departments. Our ability to bring this experience and knowledge and create new solutions with federal clients is something I am excited about going forward.